A bakery in Finland has launched what it claims to be the world’s first insect-based bread to be offered to consumers in stores. Each loaf produced by Fazer Bakeries contains about 70 dried crickets that have been ground up and mixed with wheat flour and seeds. 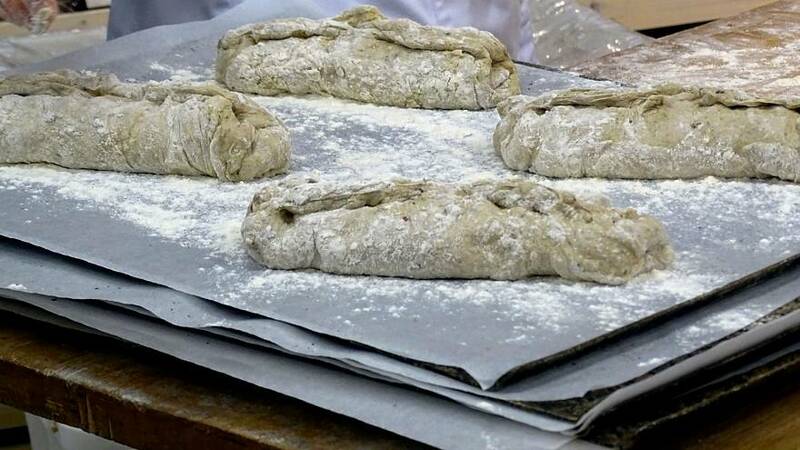 The bakery says the unusual bread, which will be available in stores from Friday (November 23) for 3.99 euros per loaf, offers consumers a good source of protein and an easy way to familiarise themselves with insect-based food. The bread was launched shortly after Finland joined five other European countries – Britain, the Netherlands, Belgium, Austria and Denmark – earlier this month in allowing insects to be raised and marketed for food use. Juhani Sibakov, head of innovation at Fazer Bakeries, said the company had developed the bread since last summer but had to wait for the legislation to be passed before launching it. Due to a limited supply of crickets, the bread will initially only be sold in 11 Fazer bakery stores in hypermarkets in the Finnish capital, Helsinki, but the company plans to offer it in all 47 of its stores by next year. While still unusual in Europe, insect-eating is common in much of the world. Sara Koivisto, a student from Helsinki, was among the first people to taste the unusual bread. “I don’t taste the difference… It tastes like bread,” she said.